number of convictions in political trials during the Arrow regime: ~400. number of victims of the Roma Holocaust: 5,000-10,000. 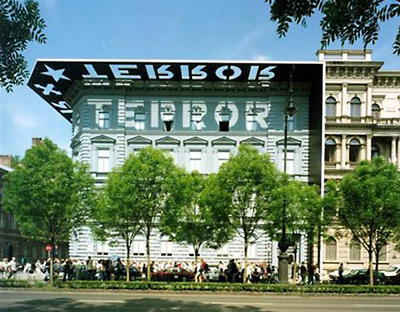 Addressing the divisive legacy of the two totalitarian regimes, the Hungarian government in 2002 established the House of Terror Museum on Andrássy Avenue/utca in Budapest, in the building that had been used by both dictatorships (complete with the torture cells in the basement). To mark the centennial of the birth of Raoul Wallenberg, a conference was held on 12 September 2012 at Trinity College Dublin, organised by the Centre for European Studies of TCD, the Embassy of Hungary, the Embassy of Israel, and the Embassy of Sweden. Among those who addressed the conference were Dr Mária Schmidt and Gábor Tallai of the House of Terror Museum. Dr Mária Schmidt, Director of the House of Terror Museum in Budapest, spoke of the resourcefulness and bravery of a few individuals who tried to save Hungary’s Jews but, with limited resources, could help only a few. Her address contrasted their efforts with the inertia of the allied governments, which were in a position in 1944 to take effective action to save all of Hungary’s Jews (who had managed to survive as an intact community until the war was close to its end), but stood back while the individuals took the risks. 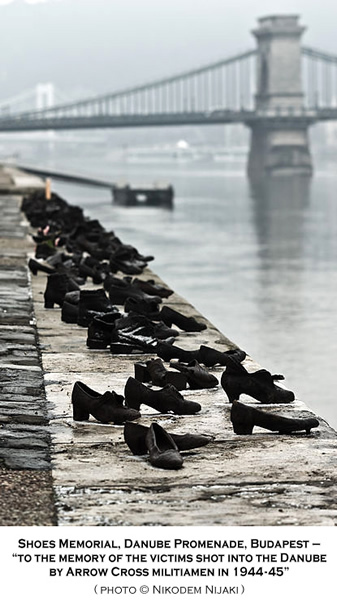 Teaching the Holocaust in Hungary was the topic of Gábor Tallai. He spoke of the complexity for educationalists in addressing Hungary’s 20th century history so that equal regard was given to the different historical experiences/sufferings, whether arising from the Fascist or Communist regimes. When those valiant people—Raoul Wallenberg, Hanna Szenes, Perec Goldstein and Joel Nussbecher—who undertook the rescue of the Hungarian Jews arrived in occupied Hungary, the destruction of the persecuted—and in effect condemned—Hungarian Jewry was already well under way. Between May 15 and July 10, 1944, the Nazis, aided by their Hungarian henchmen, deported the majority of the Hungarian countryside’s Jewry, more than four hundred thousand people to death camps. 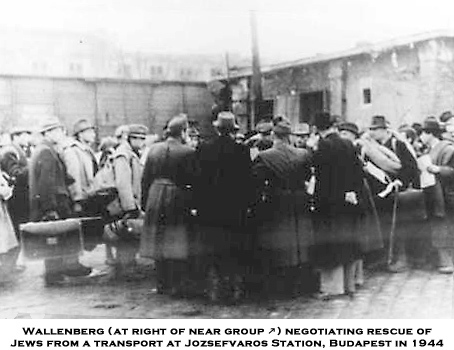 While concocting their plans, the organizers of the above-mentioned missions, the British and American governments, as well as the leaders of Jewish organizations operating in the free world, were in possession of concrete information about what the Nazi occupation meant to the almost one million Hungarian Jews. They were well aware how resolute, powerful, and well-organized the forces were that were intent on their annihilation. No one stood in the way of the Nazis implementing their genocidal plans, although by the time it was the Hungarian Jews’ turn, the real substance of their anti-Jewish policy had already been exposed before the whole world. Authentic reports, aerial photographs, dozens of intelligence reports proved beyond any doubt that the Jews transported by the German Nazis were dragged to extermination camps where they were murdered. Their entire administration and their powerful army were put in the service of their aim. The Nazi machinery, which in the spring of 1944, was preparing for the destruction of the last almost intact Jewish community, Hungarian Jewry, had already gained quite a lot of experience. It had successfully carried out its program of ridding of Jews those parts of Europe that were under its influence. It had forced almost every European army to retreat; defeated and occupied France; was at war with the Soviet Union and the Anglo-Saxon empires, and although it was already on the road to defeat, it still represented a considerable force. The Allied forces would need a full year to bring it to its knees. Hungarian Jewry’s mortal vulnerability and the danger awaiting them from the first minute of the Nazi occupation, was known to all leaders of the free world. "In one of the blackest crimes of all history begun by the Nazis in the day of peace and multiplied by them a hundred times in time of war—the wholesale systematic murder of the Jews in Europe goes on unabated every hour. As a result of the events of the last few days, hundreds of thousands of Jews, who while living under persecution have at least found haven from death in Hungary and the Balkans, are now threatened with annihilation as Hitler's forces descend more heavily upon these lands. That these innocent people, who have already survived a decade of Hitler’s fury, should perish on the very eve of triumph over the barbarism which their persecution symbolizes, would be a major tragedy." We must reflect on whether the world's leading military Great Powers (after all, Great Britain and the Soviet Union belonged to these) really could not afford anything more than devising these pathetically amateur actions, these ridiculous, childish plans in spite of the intensions of the President of the USA? How could they have imagined that it was enough to devote one or two people, preferably Jews or at least aliens without citizenship, or a citizen of a neutral country for saving almost one million Jews, when the enemy was an entire invading army (and not just any!) and its minions. Did they really believe—could they really have believed—that that was the way to rescue them? 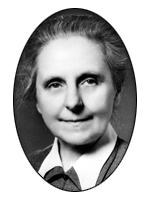 Let me remind you that in the Spring of 1943 when news reached Hungary that Slovakia has decided to get rid of the remaining 25,000 Jews, mostly of Christian religion, Margit Slachta (1884-1974) Hungary's first woman MP (1920-22) informed Francis Spellman, Cardinal Archbishop of New York, whom she had known from the U.S.
“1, In case Slovakia shall carry out this devilish plan of deportation, the US should withdraw the permission to stay in the USA for 20,000 German nationals. 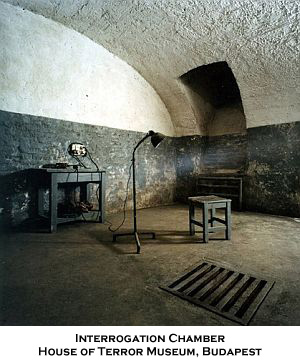 2, It is known the cruel fate of German soldiers as Russian prisoners of war. Should Slovakia give up the plan of deportation, the USA will intervene with Russia in the interest of German war prisoners. 3, The Slovak government would get 150,000 Swiss francs monthly, should she allow the Jews to remain. The Jews – deprived from everything they had, are not able to secure this amount. 4, Spain has a representative in Slovakia. Following an offer from the USA, Spain should be the protector of Jewish interests in Slovakia. 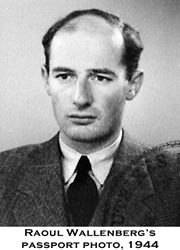 It was Raoul Wallenberg who in the dark Summer of 1944 realized Slachta’s plan in order to rescue as many Hungarian Jews as possible. He and Representatives of the Swiss, Spanish and Italian Embassies in Budapest issued Schutzpasses, which means temporary passes for Jews. The Hungarian Authorities were ready to acknowledge that those who possessed these passports will leave Hungary after the war. He was vital in the rescue attempts carried out by his fellow diplomats as Fridrich Born of the International Red Cross, Carl Lutz, of the Swiss Embassy, Angel Sanz-Briz from Spain, Giorgo Perlasca form Italy, Sampaio Garrido and Carlos Branquino from Portugal, Angelo Rotta the Papal Nuncio , only to mention a few. They all did their best to save their Jewish brothers. Slachta, the head of the Society of Social Sisters, which worked for the protection of children, women and families, ordered Society members to leave their houses, and find shelter for them, and filled the homes of the Society with Jews to rescue them. A lot of Jews could be saved by these and other brave men and women. Too many became victims. 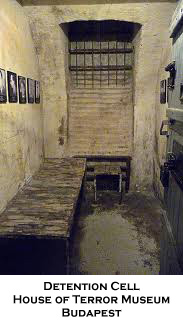 The Allies did not bomb the railway lines to Auschwitz nor the crematoria; they did not even consider any of Slachta’s or others’ rescue proposals, their power or, let's rather say, their unwillingness did not reach any further than some alibi actions, such as mentioned above. However, we hold the heroes dear to our hearts. And will never forget them. Hungary—as all Central European countries—has a special historical background. This country has endured the crimes of two totalitarian dictatorships. However, the number of Nazi and communist-style dictatorships’ victims include not only those who were murdered in the extermination camps, in the remote forced labour camps of Russian or in their own country; not only those executed on trumped up charges, the hundreds of thousands deprived of their possessions and homes based on the principle of collective guilt, ethnicity, origin, beliefs, as well as the tens of thousands of internees belong here [* above]. 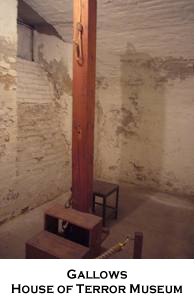 Apart from the few and privileged administrators of the dictatorships, by and large all of those count as victims, who have been deprived of their right of free thought and free choice, and who bore the material and spiritual consequences of the ideological and political terror, locked first between the military fronts and then behind the Iron Curtain. Experiencing the two totalitarian dictatorships has doubly equipped those who have lived through them with "immense knowledge", since they have gained a cross-sensitivity that is the key to the processing of trauma. I would like to give a concrete example to show you that this, after all, is not as simple as it seems. In my capacity as a high school teacher, I was teaching the chronology of the Holocaust in the mid-90s. Seeing the spectacular lack of interest of some of the students, I was pondering whether I had properly structured the course of the lesson, which featured the road to the Holocaust, the stages of disenfranchisement, the ultimate horror, the naming of those responsible and, in conclusion, some passages from survivors to facilitate emotional identification. I blamed myself for not beginning the lesson with the accounts of survivors to facilitate emotional identification, instead of the "core content", namely the detailed explanation of the anti-Jewish Laws, the description of the operation of extermination camps, as well as the number of victims and the perpetrators. I was just agonizing over this in the staff room, when one of the "uninterested" students burst in and told me indignantly about his grandfather who had spent time in the forced labour camps of the GULAG in Stalin’s Soviet Union. The student spurted out that it was unacceptable for him and his family for the Holocaust to be called "unique and unlike anything else," and that he had barely found anything in the textbook about the GULAG camps. It was intolerable for the student that the suffering of others, of which he had not even heard about, should be brought up in connection with the Second World War, which occupied such an important place on the horizon of his family’s memory. But what offended him above all, was that hardly anything of his own, or rather his inherited, experience appeared in the textbook. As a novice teacher I was suddenly confronted with the consequences of absolutizing a given history of suffering and the "intolerability" of comparing sufferings. At the next lesson, driven by instinctive emotion, I screened scenes from a Hungarian documentary about persecutions suffered under communism. Through the frames the students could learn, among others, about the fate of Jewish victims who fell prey to both totalitarian dictatorships. I did not add any comments. The screening was over fifteen minutes before the end of the lesson, but no one said a word during the rest of the time. When the bell rang, the students quietly began packing up. Several of them mentioned that lesson at the ten-year school reunion. It had made an impression on them. After 1945, following the Soviet occupation of Hungary, schooling became the obedient tool of the communist dictatorship’s ideology. In fact, it was moulded into it. The almost total elimination and nationalization of independent educational workshops led to a situation where narratives differing from the communist’s interpretation of the past could not appear either in education or in public. The Holocaust too became a taboo subject, since a religious or cultural group identity, or the annihilation of the value represented by it, did not fit into the framework of the Marxist dogma of class society. The ideologists and operators of the dictatorship had a particularly important role in mind for history teaching, because the state party—as George Orwell realized  —regarded the past an important terrain for identity formation. 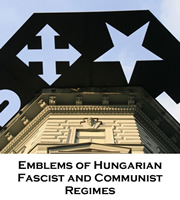 The teaching of both general and Hungarian history was subordinated to communist ideology, according to which all events in history point to one direction, namely towards the building of communism. Only one history textbook was available to teachers per school type. The Holocaust was not included in the textbooks used between 1948 and 1956. Although from the 1960s, the Holocaust could figure in the curriculum, it could only do so in the form of brief remarks understating the extent of the genocide. In accordance with the class-warfare view, when listing the victims of the Second World War, the first place was assigned to the local communists, followed by political prisoners and Soviet prisoners of war, while the Hungarian victims classified as Jewish were mentioned only at the very end. In the eighties, the ideological pressure decreased. 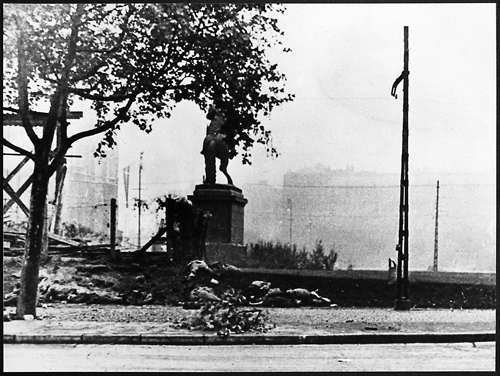 The structure of the Soviet empire, forced onto the defensive, was cracking with the result that at last the first truly adequate writings about the Holocaust could again be published. Again, because in the first two years after the end of the war, important writings, memoirs and historical works had appeared on the Holocaust. The discussions in the eighties, centred mainly around the search for Jewish identity, as well as the undigested topic of the Holocaust on the part of Jews and non-Jews. These were from the pens of authors, such as Péter Hanák, Péter Kende or Mária Schmidt, who is one of our lecturers here. Twenty years after the change of system, the Hungarian scientific and educational institutions have at last recognized the enormous potential inherent in the dual experience of totalitarian dictatorships. Hungary, like the other countries in the region, offers through her historical attributes a solution for the philosophical problem outlined at the beginning of my presentation. It is therefore important that the history of Eastern Europe and the experiences of those living here be given special emphasis not only in Europe but globally as well. I am convinced that if you pay attention to what has happened to us, if you open your hearts to the history of suffering of the peoples living here, a new quality of sensitivity might arise, which will restore our common world to a much yearned for state of normality. number of wounded: 35,000,000; disappeared: 3,000,000. Number of Holocaust victims: ~6,000,000. (Soviet Union: 20,000,000; China: 65,000,000; Vietnam: 1,000,000; North Korea: 2,000,000; Cambodia: 2,000,000; Eastern Europe: 1,000,000; Latin-America: 150,000; Africa: 1,700,000; Afghanistan: 1,500,000). Other (international communist movement, communist parties not in power): 10,000. Exceptional Books and Exceptional Authors !